Today in Masonic History Albert Baird Cummins is born in 1850. Albert Baird Cummins was an American politician. Cummins was born on February 15th, 1850 in Carmichaels, Pennsylvania. He attended a variety of schools including Greene Academy in Carmichaels. He went to Waynesburg College, where he completed all requirements for graduation. He was not graduated from the school though due to a disagreement that he had with College's president regarding Darwinism. It is not clear on which side of the argument Cummins was on, the fact that Waynesburg is affiliated with the Presbyterian Church one can assume that he Cummins was on the Darwin's side of the argument, although that is conjecture. After leaving Waynesburg Cummins traveled to Iowa and Indiana supporting himself with jobs with the railroad and carpentry jobs, a skill he learned from his father. Eventually he moved to Chicago, Illinois where he worked as a clerk and studied the law. He was admitted to the bar in 1875 and setup his practice in Des Moines, Iowa. Cummins largely represented large companies, his most famous case though was when he represented a group of farmers from the local Grange who were trying to break the monopoly held by barbed wire industry. The farmers wanted to establish their own manufacturing facility. By 1880, Cummins was active in politics. He attended every Republican state and national convention between 1880 and 1924. In 1887 he was elected to a single term in the Iowa State Senate. He was also active in the William McKinley campaign. In 1900 Cummins was passed over twice for the same United States Senate seat. Initially the Iowa State Legislature gave the seat to the incumbent. When the incumbent passed away in office, Cummins lobbied the Governor for the position. The Governor gave the seat to someone else. Initially Cummins vowed to try for the seat again in the 1901 legislative session, instead he set his sights to be Governor of Iowa, which he did in 1902. He served three successful terms as Governor, leaving office in 1908. During his time as Governor he became known for the "Iowa idea." The "Iowa idea" embodied the principle that tariff rates should accurately measure the difference between the cost of production here and abroad, but not set rates higher than necessary to protect home industries. In 1908, Cummins ran for the United States Senate. He lost in the primary. Prior to the election his opponent passed away and in the second Republican primary, Cummins easily won. He served in the United States Senate until he passed away in 1926. 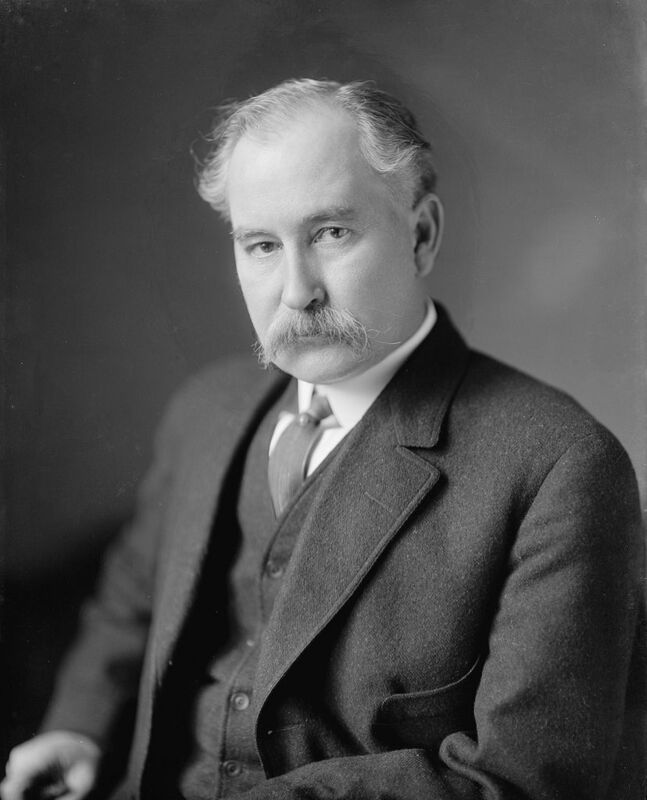 From 1919 to 1925 he was President Pro Tempore of the Senate, which is third in line for the Presidency. After World War I Cummins opposed the United States joining the League of Nations. He also sponsored the Esch-Cummins act which put the railroad back in the hands of private industry. This was opposed by organized labor which had language in the bill that would prevent collective bargaining. Cummins ran twice for President, both times failing to get the nomination. In 1926, Cummins lost the Republican primary to the other Senator to Iowa, Smith W. Bookheart, who lost his Senate seat when he was removed from the Senate by his Republican colleagues. Bookheart's election was challenged by his Democratic opponent and the Senate upheld the challenge. Before Cummins left office he passed away on July 30th, 1926. Cummins was a member of Capitol Lodge No. 110 in Des Moines, Iowa and a member of Za-Ga-Zig Shrine Temple also of Des Moines.